You want to give her what she loves when you give the gift of diamonds. But there is so much to consider: design, her style, the occasion. There are many resources online that are helpful, but they can also make things more confusing. It’s time to find a place you can trust to help you find your gift of diamonds. One that makes her shout, “Oh, I love it!” In Southern New York, our Coast Diamond Retailer of the Week, Van Cott Jewelers, is just the place. The expertise and rich history you find at Van Cott Jewelers are virtually unrivaled in the jewelry business. Started by one of the earliest gemologists in the country, Kenneth Van Cott, then acquired by the Levine family of jewelers, today, Van Cott Jewelers continues a heritage of days gone by when the “little things” mattered. And it is just those “little things” that will help you find the gift of Coast Diamond that reflects your love. The symbol of “Forever Love” is a diamond engagement ring. The classic Coast six-prong, one-carat diamond engagement ring (LC5386) has been loved by brides for decades at Van Cott Jewelers. It is accentuated by the glamour of petite prong-set diamonds on the shoulders of the ring. A lovely detail is the sign of a thoughtful (Valentine’s Day) gift from Van Cott Jewelers. This artfully crafted floral diamond band (WC10375H-RG) by Coast is set in the warmth of rose gold and finished with milgrain (tiny beads of rose gold) edging. The gift of diamonds honors your enduring love. A milestone anniversary is a time to show her you love and cherish her, still, with this Coast one-carat diamond band (WS20000). Please visit the Van Cott Jewelers Facebook page for complete details of the Oakdale Mall store closing sale. 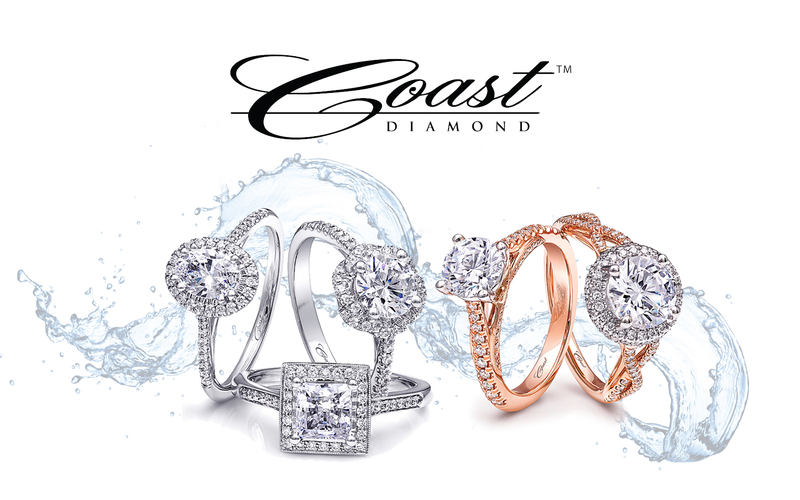 Congratulations to Van Cott Jewelers of Southern NY for being our Coast Diamond Retailer of the Week!